Honshu, the largest island, on which the capital, Tokyo, is located. Japan also has over 6,000 smaller islands, of which only approximately 430 are inhabited. Most of these are located in the East China Sea. The northern half is administratively part of Kagoshima Prefecture and Kyushu. 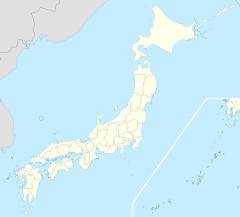 There are the four disputed Kuril Islands, also known as the Chishima Islands. ^ Imperial Japanese Commission, pp. 3-4. ^ a b Imperial Japanese Commission to the Louisiana Purchase Exposition. (1903). Japan in the Beginning of the 20th century (Haruki Yamawaki, editor), p. 2. ^ Imperial Japanese Commission, pp. 2-3. ^ Look Japan, Vol. 43, Issues 493-504, p. 35; retrieved 2013-3-2. ^ Nussbaum, Louis-Frédéric. (2005). "Rishiri-tō" in Japan Encyclopedia, p. 791. ^ a b c d Ponsonby-Fane, Richard. (1962). Sovereign and Subject, p. 332. ^ a b c d e Ponsonby-Fane, p. 331. ^ a b c d e f g h Nussbaum, "Izu Shotō" at p. 412. ^ Gotoh, H. et al. (2010). "Infrastructure Maintenance and Disaster Prevention Measures on Isolated Islands: the Case of the Izu Islands near Tokyo" in Island Sustainability (Favro, S., editor), p. 187. ^ Nussbaum, p. 412; Ponsonby-Fane, p. 332. ^ Nussbaum, "Ōshima" at p. 761. ^ Nussbaum, "Torishima" at p. 987. ^ a b c d Nussbaum, "Ogasawara Guntō" at p. 737. ^ Nussbaum, "Hashima" at p. 294. ^ Imperial Japanese Commission, p. 3.